The Leers have a holy water holder in the threshold of their home in Wilkins Township, just outside of Pittsburgh. 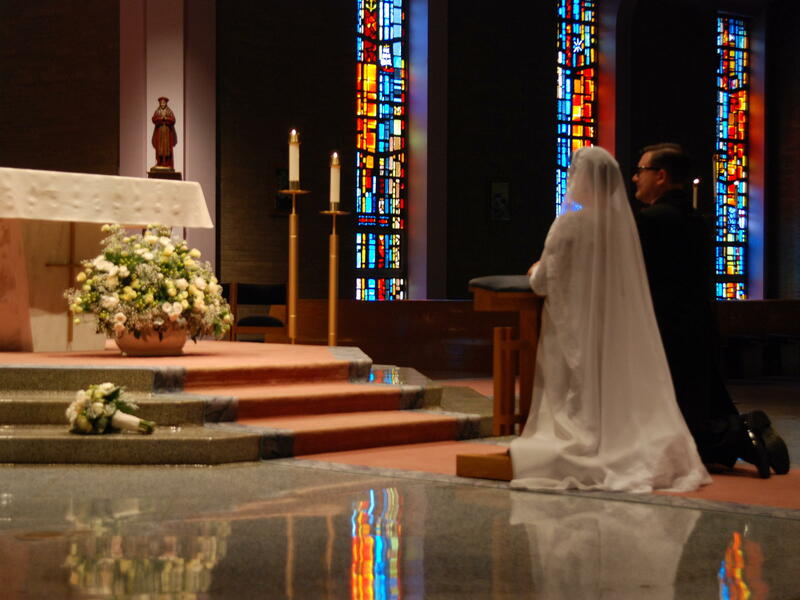 When they wed, Courey and Andy Leer held a traditional Catholic ceremony in St. John Fisher Parish in Churchill, Pa. The Leers are among a number of Catholics in Pennsylvania who told NPR and its Pennsylvania stations that they opted to skip Mass this weekend, following the release of a grand jury report alleging widespread childhood sexual abuse in dioceses across the state. The Leers were both raised Catholic, and for the past few months were increasingly active in their parish, attending more weekday Masses and even starting a new ministry. While they each said their spirituality is personal, for them, being Catholic is really more about identity and culture. "I think for the longest time it wasn't a matter of 'how does this make you feel, what's your relationship with Jesus?' It was just 'yeah, we're Catholic.' It's what we do. It's what our family does," Courey said. But for the past weeks, they've been grappling with the news about the grand jury's clergy abuse report. Andy, 32, said it's not the first time he's been thinking about this. When he was a teenager, claims against his own priest surfaced. The allegations against Father Joseph Pease were a few decades old, and appeared to be isolated. Pease was relocated to another parish. "So we were OK back then to say 'we've gotten rid of the bad apple, the rest of the bunch is OK,' " he said. A few years ago he saw the movie Spotlight, about the investigation of sexual abuse in the Boston Archdiocese, and he understood the scope of what was going on. "But it doesn't really hit until it's in your backyard," he said. Pennsylvania's grand jury report alleges 300 so-called "predator priests" abused more than 1,000 boys and girls across the state. It also includes evidence of a systematic cover up by church leaders dating back decades. Pittsburgh's Bishop David Zubik said the church has learned from the past, and implemented measures to prevent that from happening again. "So it goes beyond just the priests and their superiors," she said. "It leads me to question entire Catholic communities. Who knew what? And not only why didn't they expose them, but, how long have people been turning the other way?" Even before the report was released, Mass attendance had been declining for years within the Pittsburgh Diocese. Now, the Leers said they don't feel right attending services while so many others have been hurt by the church. They said they're standing in solidarity with the victims rather than the institution. Courey did attend services with her 2-year-old daughter the day after the report was released, but they didn't stay long. "I think a part of me was thinking I'm going to go to Mass and I'm going to get an OK to leave and not come back," she said. "And of course that's not going to happen. Part of me just wanted someone to say 'we really messed up, it's all on us, and you guys use your own moral discretion to decide what's best because we have no moral authority.'" She said her priest did acknowledge the report, but offered little more than prayers. "And my daughter ran off and she found this beautiful long stained glass window, and the sun was coming in, and she was exploring all the lights coming through. There was yellow and blue and red, and it was beautiful, and to a 2-year old that's what makes church special," Leer said. Courey said the beautiful sacred space is what makes church special to her, too. Right after the homily, the two stood up and walked out the doors. "And I'm thinking 'is this our last Mass?' And it's hard. I can't fathom when she's 8 years old saying 'no we don't go to church, sorry you can't receive communion, even though your mom and dad did, your grandparents did, you don't get to do that.' "
The Leers said they'll miss the sacraments, community dinners, and the music ministry. But they would like to see church leaders push for more investigations into sexual abuse at diocese across the country. "They don't need to be worried about our spirituality right now," Andy said. 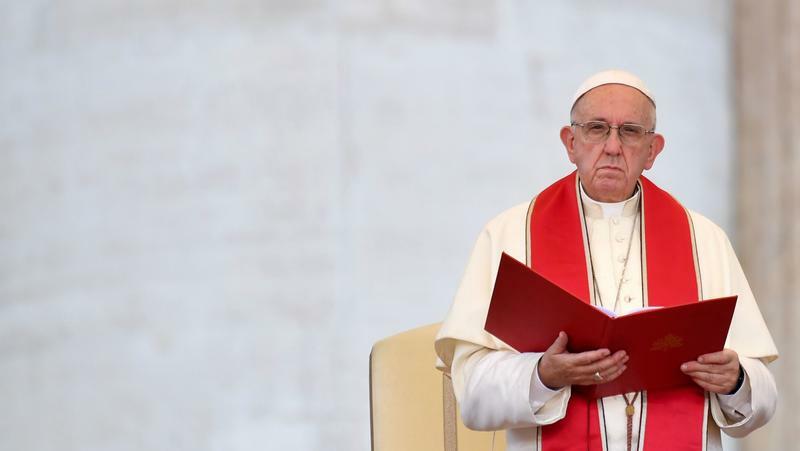 "They need to be worried about dealing with the corruption, and dealing with the priests that are out there that need to answer for what they've done, and the people that have potentially covered up and withheld information." After the report was released, Pittsburgh's Bishop David Zubik told his parishioners that an expert will review the diocese's abuse prevention and reporting policies. The church said it will also create a new position to monitor clergy who have been removed from ministry. 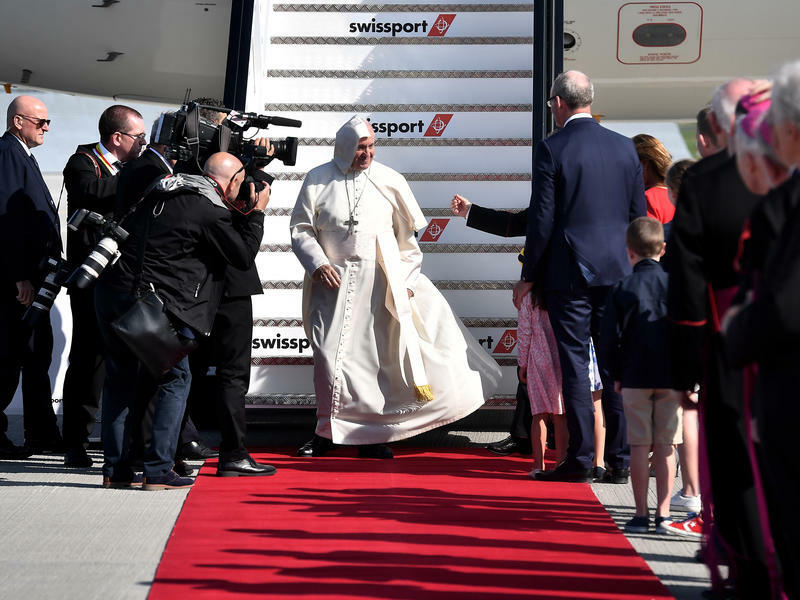 The Leers don't know what it will take for them to go back, but said it will take time for their faith to be restored in the Catholic Church. 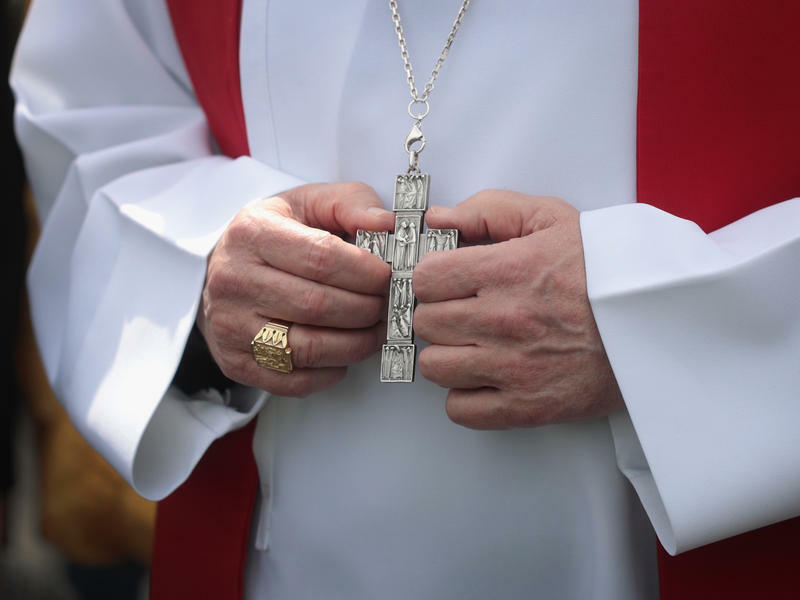 Catholic dioceses across Pennsylvania are still dealing with the fallout from a grand jury report that came out recently alleging widespread childhood sexual abuse in the state. Virginia Alvino Young from member station WESA has been talking to some Catholics in Pittsburgh who opted to skip weekend mass. 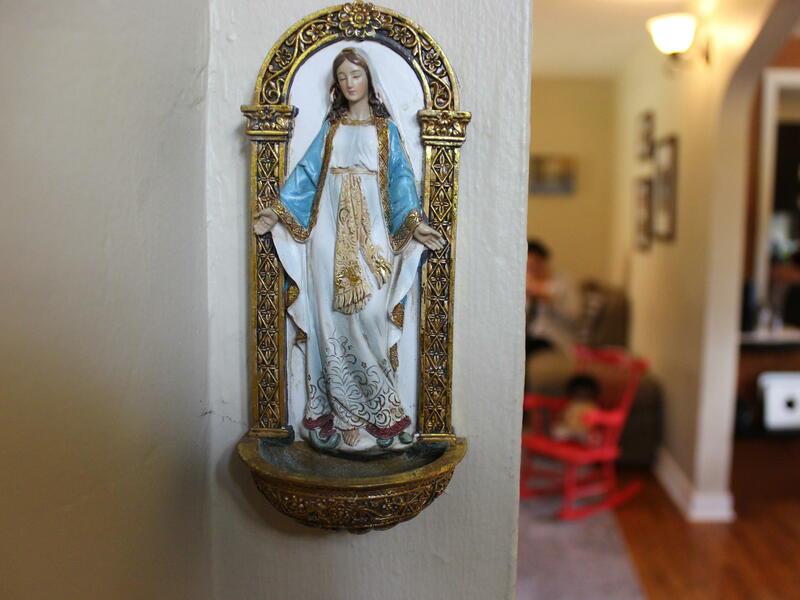 VIRGINIA ALVINO YOUNG, BYLINE: Walking inside Courey and Andy Leer's home just outside Pittsburgh, you're met with a golden cross, some palms. COUREY LEER: So then we have a little Mary holy water holder. We got some holy water for our wedding, but we never, like, replenish it. It just hangs out there. Is it empty? ANDY LEER: No. There's still some. We always try to keep a little of it. YOUNG: For the past few months, the 31- and 32-year-olds had been increasingly active in their parish, attending more weekday masses and even starting a new ministry. While they each say their spirituality is personal, for them being Catholic is really more about identity and culture. C. LEER: I think for the longest time, it wasn't a matter of, how does this make you feel? What's your relationship with Jesus? It was just - yeah, we're Catholic. It's what we do. It's what our family does. YOUNG: But for the past few weeks, they've been grappling with the news of the grand jury's clergy abuse report. Andy says it's not the first time he's been thinking about this. When he was a teenager growing up in Pennsylvania, claims against his own priest surfaced. The allegations of abuse were a few decades old, appeared to be isolated. And the priest was moved to a different parish. A. LEER: We were OK back then to say, OK, well, we've gotten rid of the bad apple. The rest of the bunch is OK.
YOUNG: A few years ago, he saw the movie "Spotlight" about the investigation of sexual abuse in the Boston archdiocese. And he understood the scope of what was going on. A. LEER: But it doesn't really hit till it's in your backyard. YOUNG: Pennsylvania's grand jury report alleges 300 so-called predator priests abused more than 1,000 boys and girls across the state. It also includes evidence of a systematic cover-up by church leaders. Pittsburgh's bishop David Zubik says the church has learned from the past and implemented measures to prevent that from happening again. Courey Leer is skeptical. 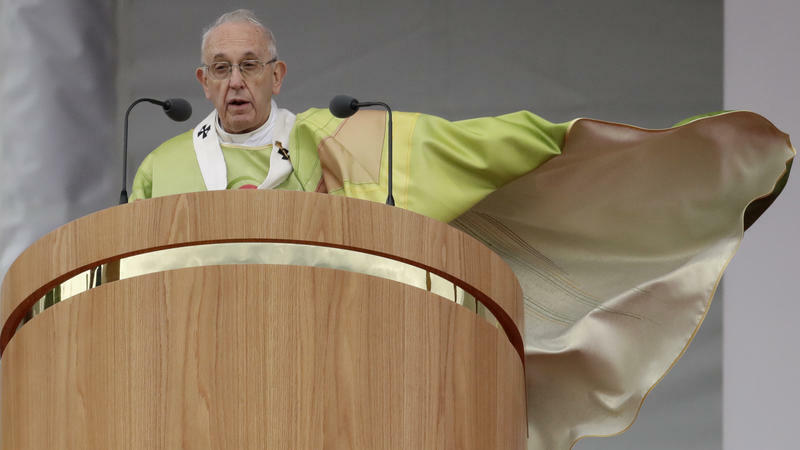 C. LEER: So it goes beyond just the priests and their superiors. It leads me to question, you know, entire Catholic communities, who knew what and not only why didn't they expose them, but how long have people been turning the other way? YOUNG: Even before the report was released, mass attendance had been declining for years within the Pittsburgh diocese. Now the Leers say they don't feel right attending services while so many others have been hurt by the church. They say they're standing in solidarity with the survivors rather than the institution. Courey did attend mass with her 2-year-old daughter the day after the report was released, but they didn't stay long. C. LEER: I think a part of me was thinking, I'm going to go to mass, and I'm going to get an OK to leave and not come back. And of course that's not going to happen. But I think a part of me just wanted to hear someone say, like, we really messed up. We really messed up. And use your own moral discretion to decide what's best because we have no moral authority. YOUNG: She says her priest did acknowledge the report but offered little more than prayers. C. LEER: And my daughter ran off. And she found this beautiful, long, stained-glass window. And the sun was coming in. And she was exploring all the lights coming through. There was yellow and blue and red. And it was beautiful. And to a 2-year-old, like, that's what makes church special. YOUNG: Courey says the beautiful, sacred space is part of what makes church special to her, too. Right after the homily, the two walked out. C. LEER: And, you know, I'm thinking, like, is this our last mass? And it's hard. I can't fathom, you know, when she's 8 years old saying, no, we don't go to church. Sorry, you can't receive communion even though your mom and dad did, your grandparents did. Like, you don't get to do that. YOUNG: The Leers say they'll miss the sacraments, community dinners and the music ministry. But they'd like to see church leaders push for more investigations into sexual abuse at dioceses across the country. A. LEER: They don't need to be worried about our spirituality right now. They need to be worried about dealing with the corruption and dealing with the priests that are out there that need to answer for what they've done and the people that have potentially covered up and withheld information. YOUNG: After the report was released, Pittsburgh's bishop Zubik told parishioners that an expert will review the diocese abuse prevention and reporting policies. The church says it will also monitor clergy who have been removed from ministry. The Leers don't know what it will take for them to go back but say it will take time for their faith in the Catholic Church to be restored. For NPR News, I'm Virginia Alvino Young in Pittsburgh. A Parkland priest shared a little bit too much, posting items on his Facebook account that were critical of Muslims, Arab refugees, Democrats, liberals and others. Father Ireneusz Ekiert, parish administrator at Mary Help of Christians Catholic Church, apologized Monday for his “lack of prudence and stupidity” for the postings that had a Trumpian, conservative bent to them. He had already closed his Facebook account. 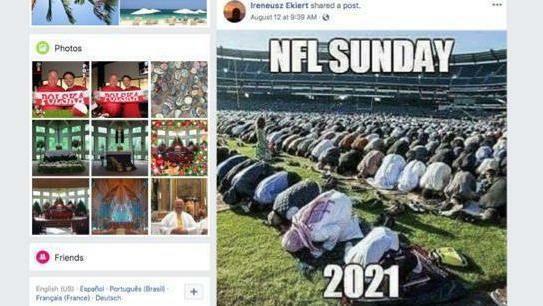 One post with the heading NFL Sunday 2021 shows a football stadium with the field covered with Muslims kneeling and bent over in prayer.